Artdayn takes the industrial darkness of his latest song to new levels with the official video release for Home Movie. As a reminder of the strength of the set up, the video adds further intensity to the progression of the song – the contrast between the calmness and almost whispered verses, with the hit and power of the hook and surrounding sections, is emphasised by the gritty, brooding atmosphere of the visuals. 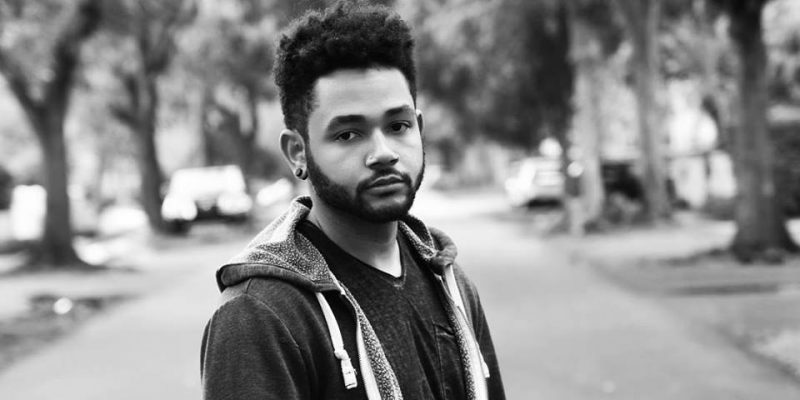 Artdayn is an artist with a voice and lyrical approach inspired by the likes of The Weeknd. Home Movie exemplifies this influence and takes the opportunity to showcase Artdayn’s own sense of character and performance style at the same time. As stated before, the lyrics hold nothing back, everything is laid out in front of you, right down to the personal details. The story-telling is quite literal but the ambiguity of the video gives very little away, creating contrast again with the content of the song. The still and somewhat emotionless expression on the artist’s face adds a touch of mystery and drama to the whole piece. The lyrics are heavy, harsh even, but the demeanor of the leading character in the video portrays someone distinctly calm and disconnected from it all. Artdayn’s music offers up musical freshness and presents audiences with the skill, smoothness and delicacy of his voice in a dark and seductive manner. The beat utilised throughout this release is forever interesting, and certain moments, melodic inflections and lines, really linger in your mind after listening. The simplicity of the video works well among all of this, captivating you in a minimalist but genuine way. The effects used on the video make it feel as if you’re seeing something you shouldn’t be, leaked footage maybe, which, again, adds to that element of drama and makes sense alongside of the song’s subject matter. Read our original review of the single here. Find & follow Artdayn on Facebook, Twitter & Instagram. Visit his Website for more information.